Ready resources on a myriad of human problems. This popular employee assistance kit is one of the best values around. 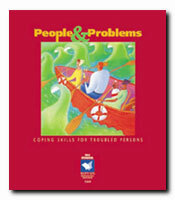 Be prepared for the wide range of human problems you are asked to help with by having these ready resources on hand. This is a comprehensive collection of materials on chemical dependency, eating disorders, mental and emotional health, interpersonal relationships, dealing with change and more. Use the pages in newsletters, workshops or one-on-one sessions. Understanding Common Phobias: What Are You Afraid of? Assertiveness: Saying "Yes," Saying "No"
Office Dating: Is It a Good Idea?